Mix the baking soda with water or lemon (they both work fine). In a small cup, mix half a teaspoon of baking soda with a few drops of either water or lemon. Be sure it is a paste, this way it will be easier to apply. For applying the paste too your teeth you can use a toothbrush or just your fingers. If it is a bad stain you want to remove, it’s recommend you apply the paste directly to the stain and let it set for about two minutes. Just like with doing the dishes, some stains need a little extra scrubbing. This can also be the case with the stain on your teeth, use a toothbrush or your fingernails to scratch away that last bit of dirt. Alternatively, you can dip a wet toothbrush directly into some baking soda, and the powder will attach itself to the bristles. However, the taste of the baking soda will be very strong if you use this method. 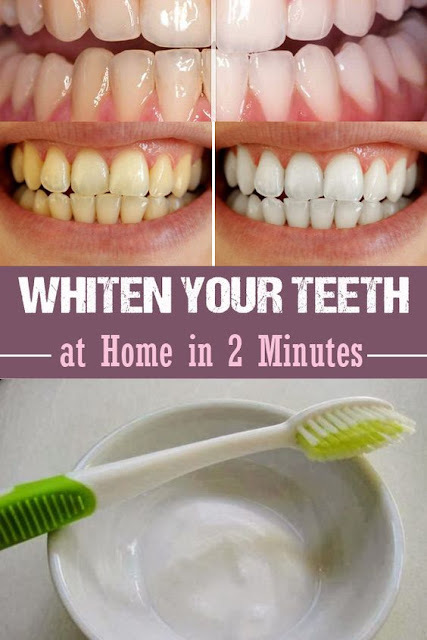 Brush your teeth for one to two minutes. Brush your teeth as you normally would, but really concentrate on getting the brush into all the cracks and crevices. Don’t brush your teeth for any longer than two minutes, as baking soda is a mild abrasive and may begin to erode the enamel on your teeth .Ensure that no sideways destructive brushing occurs, purely up/down. Rinse. 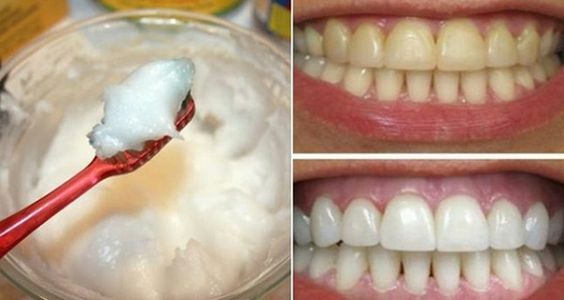 Spit out the baking soda and rinse your mouth with water or mouthwash. Give your toothbrush a thorough rinse as well. Repeat every other day. You should repeat the process of brushing your teeth with baking soda every other day for one or two weeks. You will notice a slight difference in the whiteness of your teeth after just a few days, and a substantial difference after a couple of weeks. After a couple of weeks of brushing with baking soda every second day, you should cut back to doing it just once or twice a week. This is because the abrasive properties of the baking soda may damage the enamel on your teeth if used too frequently.